Whether it be Conferences, seminars, sports and entertainment. There’s only one chance to do it right. 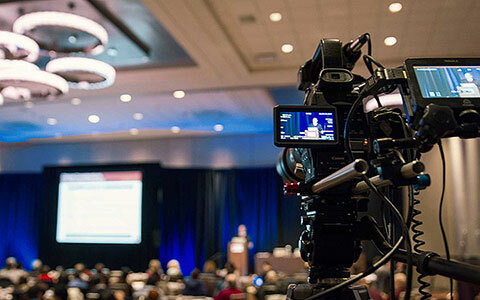 Event video production is something we specialize in. Our clients hire us again and again because we deliver cost-effective, high quality productions and because we do what we say we will. Our customer’s satisfaction speaks for itself. We have online event streaming and archiving, so people around the country can watch the event if they can't attend. When the cameras are turned off, your DVD Masters and Web-Ready files are waiting. © 2013 - 2016 Taverna Productions. All rights reserved.